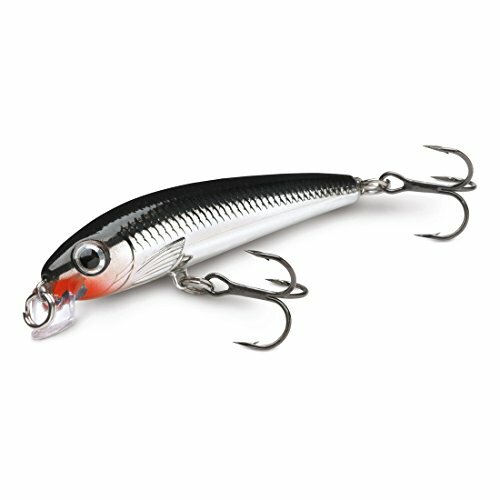 Big action in a small bait, the Ultra Light Minnow is the new gold standard for ultra light baits. Weighted body casts incredibly far for such a small bait. Slow-sinking, it is designed to work from 2-3 feet in the water column. An excellent choice for streams, small ponds and shallow bays and shorelines. Its unique lip design creates an enticing wobbling and rolling action. External etched scales, gills and fins in union with 3D holographic eyes and incredible Rapala finishes put this bait in the lead for ultra light choices. Perfect for panfish and trout, each lure is hand-tuned and tank-tested for ultra perfection right out of the box. * Do not store in hot or damp environments. Avoid exposure to the sun when not in use.